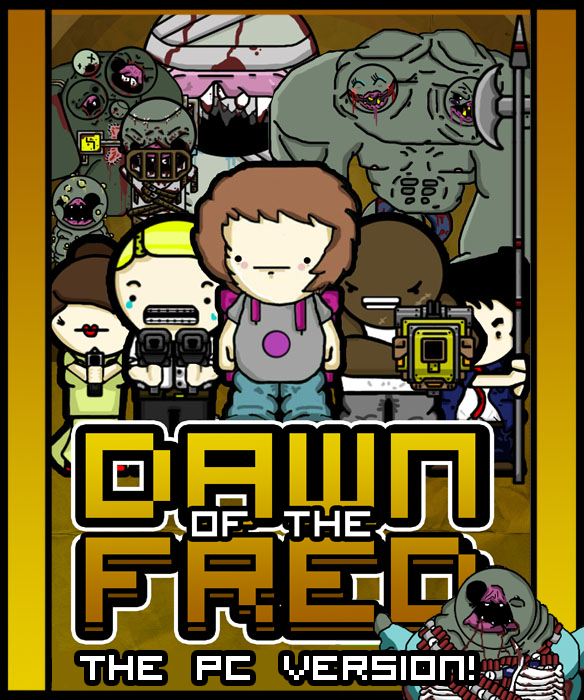 Dawn Of The Fred is a 2D Isometric Zombie Shooter all about taking down zombies hordes. Block the doors! Cover the windows! They're coming to get you! Take on the zombie outbreak! Will you make it to the end alive? No shop. No choice. No rest. Fight off zombies with your weapon randomly changing every 30 seconds! -Choose from upto 5 playable characters! -Pick your weapon! With an arsenal of over 70+ weapons, your spoilt for choice in selecting your zombie killing devices! -10 different zombie types to keep you on your toes! Is there a way to change the controls? It looks to me like you have taken many, MANY zombies and ideas from different games, i've seen zombies that look suspiciously like a tank, charger and boomer, your art style reminds me of the binding of isaac, and all your normal zombies look exactly the same. I'm hoping that you'll shape up for your next title. Sorry for the lack of activity over the past year. We will back early 2019. Pretty damn excited to get involved in our first ever #LDJAM this weekend! Still here, still working on stuff. We also hope you had an amazing Christmas!